People's name is enough to know the contribution to their work. Ed Marinaro is a similar name who earned fame from his unforgettable performance as an American football player. Furthermore, his name shines in the film industry as a regular cast member on ‘Hill Street Blues’ and for appearing in the 2010 Football comedy series, 'Blue Mountain State'. The former American football player and actor Ed Marinaro, not only lives a successful career but also a prosperous marital life. This may raise questions like, "Who is the lucky girl to marry Ed Marinaro? ", "What is Ed Marinaro's net worth?" Know more about Ed's married relationship including his success as an American footballer and as an actor. Ed Marinaro is a married man who married his longtime girlfriend Tracy York Marinaro, a fitness expert. In the presence of their friends and family, the duo married on December 31, 2001, in his hometown. The couple is a parent to their only child Eddie Marinaro. The chemistry between the pair helped them to stay together 17 years together. So naturally, there's no dispute or divorce rumor between the pair. Recommended: American Footballer Antonio Gates is Married to Sasha Gates; How is their Relationship? Details here!! As of now, Ed lives a happy with his spouse and son and their marriage is getting stronger and stronger as days pass by. Ed's career as a footballer helped him to accumulate huge net worth. As of now, the actor's estimated net worth is $3 million. Marinaro initially played football in New Milford School and Cornell University, where he set over 16 NCAA records. The impressive performance made him the first running back in NCAA history, playing professional football for six months. Also, Read: American Footballer, Josh Norman Dating His DWTS Partner Sharna Burgess? What Did The Couple Say About The Rumor? In 1971, Marinaro became the runner-up for the Heisman Trophy. Moreover, he played for the teams like the Seattle Seahawks, Minnesota Vikings, and New York Jets. Moreover, Ed even got inducted into the College Football Hall of Fame in 1991. Besides his career in football, Marinaro, 69, is also an actor who appeared in several movies and TV series. In 1978, Ed portrayed the role of Alex in the TV series Flying High. In addition, he played in ‘Blue Mountain State: The Rise of Thadland’, ‘An L.A. Minute’, 'Yeti: Curse of the Snow Demon’, ‘Drop Dead Diva’, ‘Days of Our Lives’, ‘Fist of the Warrior’, ‘Jane Doe: Til Death Do Us Part’, ‘8 Simple Rules’, ‘Avalanche Alley’. You May Also Like: Is American Footballer Michael Oher Married or Dating Someone as Girlfriend? In addition, the retired football player appeared on big-screen including ‘Sisters’, ‘Amy Fisher: My Story’, ‘Menu for Murder’, ‘The Twilight Zone’, ‘The Diamond Trap’, ‘Sharing Richard’, ‘Policewoman Centerfold’, and ‘Laverne & Shirley, 'A Gift of Love: The Daniel Huffman Story’, ‘Grace Under Fire’, and ‘Panic in the Skies’. 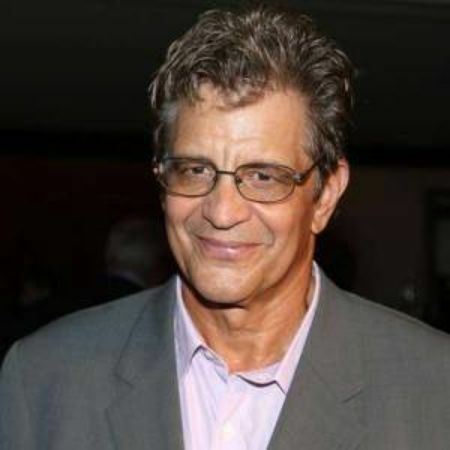 Ed Marinaro was born on March 31, 1950, in New York City, New York, United States. Ed made his debut on the television show, Sisters and Laverne & Shirley. In NCAA history, he is the first running back to run over 4,000 career rushing yards. Marinaro is American by his nationality and belongs to white ethnicity. The 68 years old actor's height is 6 feet and 2 inches and he weighs 96kg.